Noah lived in an ungodly era, a time when the earth was corrupt and filled with violence. The sin that was so rampant in those days brought chaos, disorder, anarchy, and confusion. Scripture might just as well have been describing our world today. Yet even in the midst of the evil of his day, Noah is described as “a just man, perfect in his generations,” who “walked with God.” So what lesson can we learn from Noah about pleasing God in an ungodly world? The answer is rest! The very name Noah means “Rest.” To rest is to recuperate, stand still, pause, stop, or cease. Noah’s name was prophetic in that God’s purpose for Noah was to bring rest to the earth from the chaos of sin. Because of our personal relationship with God, we, like Noah, have the unique opportunity to bring rest to this chaotic world. Every time we offer comfort or exhortation to a friend or compassion to someone who does not know the Lord, we have planted a seed toward bringing them to Christ, which is bringing the ultimate rest from the chaos of death, hell, and the grave. Noah was a just man. Although he was not sinless (only Jesus has that distinction), Noah led a holy life before the Lord. I doubt it is possible to please God in our ungodly world without holiness. Holiness must be a priority in each of our lives. In fact, it is part of our destiny. Every time we choose to obey the Lord and resist temptation, we bring rest from sin and its effects into our lives and homes. We, like Noah, are destined to be ministers of God’s rest by the very lives we lead. Genesis 6:9-13 tells us that Noah walked with God. The two of them had a personal, direct relationship. When intimacy with God is missing, holiness in and of itself can lead to legalism and religiosity, which does not provide us with rest from sin, but rather with an impossible standard that we strive to live up to in our own strength. Striving to be holy leads to exhaustion, not rest. Noah, on the other hand, knew how to hear the voice of the Lord and obey His Word- not through legalism, but through relationship. Our relationship with God should provide the basis for how we live our lives. It is through that relationship that we gain the strength to live holy lives. And as we learn to rest quietly in Him, we, like Noah, will know His voice. 1Peter 3:4 tells us that “the incorruptible beauty of a gentle and quiet spirit . . . is very precious in the sight of God.” What a picture of rest! 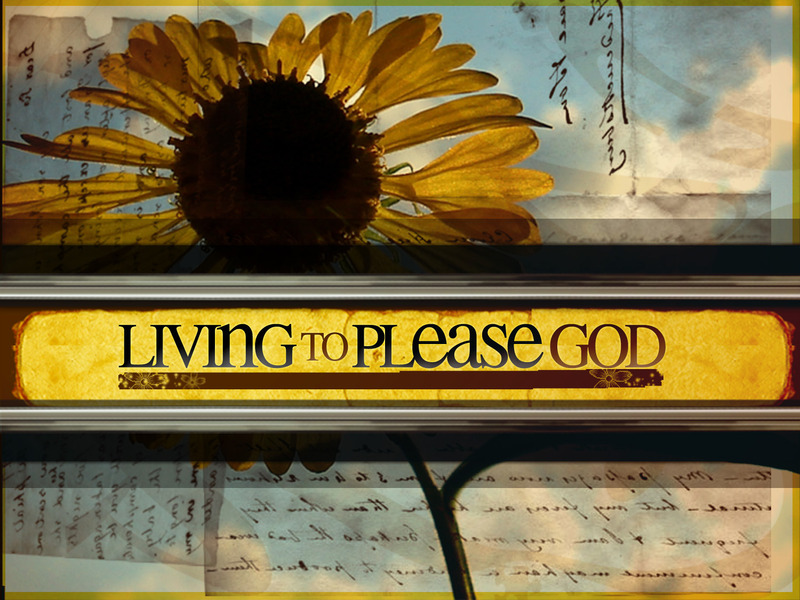 So, how do we please God in an ungodly world? Learn to rest in Him and to minister His rest in a world otherwise filled with chaos.